Bema Seat, Calvinism, Cheap Grace, Easy Believism, Eternal Life, Eternal Security, Eternally secure, False teaching of Perseverance of the Saints, Free Gift of Eternal Life, Good news, Is Eternal Security the Gospel?, Loss of Rewards, Must Faith Endure for Salvation to be sure, OSAS, Ralph Yankee Arnold, Salvation, Salvation is permanent, The Gospel, The Gospel of Grace, Tom Cucuzza, Tom Stegall, What happens when we are saved? Eternal Security is the Gospel. ETERNAL LIFE IS GOD’S UNCONDITIONAL PROMISE. HE SWORE BY HIMSELF AND THERE IS NO GREATER. I am one who previously qualifies as one who may not have believed the simple gospel, that eternal life IS the free gift. In life, we get confused by those who preach things we must DO in order to be saved, or to prove we are saved. I do want you all to understand, I am a believer in what some identify as Once Saved Always Saved (OSAS). Even so, I most definitely am not a Calvinist, nor an Arminian (as my statement of Faith says). I want you to be clearly informed on my stand. God is not the god of TULIP (Calvinist), DAISY (Arminian), nor of ROSES (middle knowledge or Molinism. GOD is not, “He loves me, He loves me not, He loves me, He loves me not”. There is no plucking of petals with our God to figure out if we are His beloved or not. There is no ‘middle knowledge’ between error that suddenly between two wrongs makes it right and suddenly becomes truth. God does not work that way. His way is truth, His Word is truth, we do not need men systemizing what they believe to be true and teaching us instead tradition of men (leaven). We who are His, have the Holy Spirit and HE is able to teach and guide us into all truth with His Word. We all know those who say they believe and may behave just abominably, or maybe not as well as we would wish (including ourselves). That is not to encourage licentiousness, it is just a fact we see in His Word. Here is a list of some of those bad things believers can do. We need to cooperate to both abide in the vine AND abide in His Word, in order to be effective and to grow as students/disciples. Don’t let the words of men (who use excellency of speech and wisdom of their own words to seduce you regarding the gospel) to abide in you (1 Cor 2:1-5). Don’t bear long with them, because they WILL corrupt your minds from the simplicity that is in Christ (2 Cor 11:3-4). Jesus loves the bride He gave Himself for, in spite of themselves. In our eyes, we think God is a respecter of persons based on how good they are (He is not!). We cannot finish in the flesh, that which He began in the Spirit(Gal 3). We do need to submit to God so that we are not being resisted (1 Pet 5:5-7). We need His Word to give us wisdom, which points out our weaknesses that we can confess them to Him (agree with or ‘see’ our sins we may not have previously recognized). Keeping short accounts with Him will keep us in good fellowship with Him and other believers, and will also help our joy will remain full (1 John 1-2:2). This reminds us of the advocate we have with the Father, and also reminds us of His death not only for us, but of the whole world. God the Father loves the world, but the moment they die having rejected His Son, then they will face the Judgment — His Wrath and eternal damnation. God takes no pleasure in even the death of the wicked. I do NOT believe the Bible in any way teaches that your salvation can be lost… If you teach others otherwise, knowingly or otherwise, sadly you preach another gospel that will not save and that you are following after doctrines of men instead of the truth of God’s Word. Please, for your sake, and your loved ones — prayerfully consider the Scriptures against what you have been taught (Acts 17:11). See if those few verses that seem to suggest losing eternal life really mean that. Gather up the Scriptures and determine to study with His approval in mind asking questions, and looking in context. When we read His Word, always consider context. Ask who is spoken to and whether the word ‘saved‘, ‘salvation‘ or ‘deliverance‘ speaks to a physical saving from something or something else. DO YOU BELIEVE GOD’S TESTIMONY OR NOT? Will God take away something that is ETERNAL? Do we have Eternal Security or not? Or is it a temporal gift of ETERNAL LIFE? What kind of sense does that make? It is the age-old lie of the enemy, ‘Did God really say that‘ (Gen 3:1)? By now, you are possibly thinking, how much more ridiculous sounding is this list? I agree. Maybe for a different reason than you might think. It is ridiculous to say a believer is not kept saved until the day of redemption. Please look carefully at what you are saying about the truth of all these verses that are applied to believers. Please, I ask you in all fear and trembling at God’s Word, and by Christ and Him Crucified for us, don’t just skim these things, but look them up, one by one, then thank God for each thing, He as done for you. You will not be sorry. These are but a few of the things that happen when we are born again, please really pray and study regarding what you are telling others. PLEASE REALLY PONDER THESE THINGS…. IS GOD ABLE OR NOT? If God, foreknowing we would lose salvation, do you think He would take all that effort to do all these things, just to let us walk away? Just pray on these things. ETERNAL? EVERLASTING? OR PROBATIONARY AND TEMPORARY? We have either believed God’s testimony of His Son, OR we have made Him a liar. God bless those who read here. I understand your position. I don’t subscribe to OSAS, but I do believe truly saved is truly saved. Some may say it’s semantics. The problem I have with this phrase is that people who have repeated a prayer one Sunday morning are told they were forever saved. These same people continue to practice sin (as if they never heard the gospel) but see no need to change because someone told them “once saved… always saved.” True salvation cannot be lost. But this “phrase” seems to do more harm than good. Here is a scenario: Someone in the word of faith says there were saved when they were 8 yrs old. They admire Creflo Dollar and believe he teaches the truth. You show how they are under false teaching. They continue to follow and promote the teaching. They grew up on this teaching. They claimed salvation before fully understanding the gospel. Now, they don’t really care about what their pastor teaches because they were saved as a child. They were told once saved always saved. This is an example of why I don’t subscribe to OSAS. I do believe truly saved is truly saved and thereby always saved. A play on words? Maybe. But that’s what happened when definitions are changed. I am Once Saved Always Saved. Just because someone uses a term wrongly and applies it to themselves, i.e. Christian, I still know that Once I am saved, I am sealed eternally. But I do understand your problem. Repeating a prayer will not save you (unless of course you have believed, and Jesus Christ and Him crucified is where your faith is placed). Repenting from your sin does not save you, nor is it part of the gospel, although those who are saved, can and should do that. Whether they see no need to change, ‘practice’ is not really quite right in the understanding of 1 John 3 if you are addressing those who ‘practice sin’. Instead, look at the word ‘poieo’ which is to do once. Even one time. Break one law, you break them all, so we have to be really careful as one sin is all it takes. That is the difference from being in sin, a child of disobedience, not having been justified, and being in Christ, forever sanctified (Heb 10:1-4). You may consider this video regarding that passage. Being under false teaching and even being a false teacher does not make one unsaved. We see all throughout the epistles, those who were bewitched, deceived, not obeying the truth, going back into the world (Demas), all the way to the upper echelon in Peter and Barnabas, who were for a time deceivers, hypocrites, not straightforward about the truth of the gospel. Paul was concerned about the church at Corinth being deceived, all the way up to the end of his second epistle. Think on this. Look at all the terms we may use to define ourselves; Christian, Born-again, evangelical, etc. They have each one been maligned and hijacked by the counterfeiters. It doesn’t mean Christian isn’t a true term, so I would rather state those who have indeed believed are saved forever and leave it at that. It is not our job to figure out who is saved. We can know false prophets by their fruit-doctrine, seen in Matt 7:15-21. One thing I believe all in the church must to is defend the gospel, to contend for the faith once delivered, to be very sure we have not had our own minds corrupted from the simplicity that is in Christ, because of all the voices out there, and traditions we have learned that may not be Biblical. It is good to define what we believe the gospel to say. We see it declared in 1 Cor 15. But we don’t want to offend a little one in judging how someone may be practicing sin, or even easily deceived. It can be an easy fix. Find out if they truly understand the gospel, the free gift of salvation. See if they think that turning from sin, repenting from sin, praying, committing, surrendering, etc. was part of what they must do. If so, help them to understand that there is not one single work besides believe. See if they have misunderstood what ‘repent’ means. The Catholic church and Latin language has hindered that in the penance/penitence and making that into an English Word that was distinguished from Roman Catholicism. But we should have chosen a new word, somewhat like baptizo/baptize for metanoeo/metanoia. But we did not, so I also suggest anyone try this link for repentance, an excellent study. If they did indeed understand the gospel, maybe the importance of His Word was not stressed to them, maybe life and circumstance has kept them from His Word. So if they are not in the strong meat of His Word, their senses are not exercised to discern between good and evil (Heb 5:12-14) thereby they can be fooled. If someone is not getting sanctified, we might want to remember Jesus in the garden, praying for us to be sanctified by the truth, His Word is truth (Jn 17:17). We can help by washing the feet of one already clean as the Master did. People are washed in the water by the Word (Eph 5:26), so we can use the Word, we can commend them to the Word of His grace, so they can be built up. 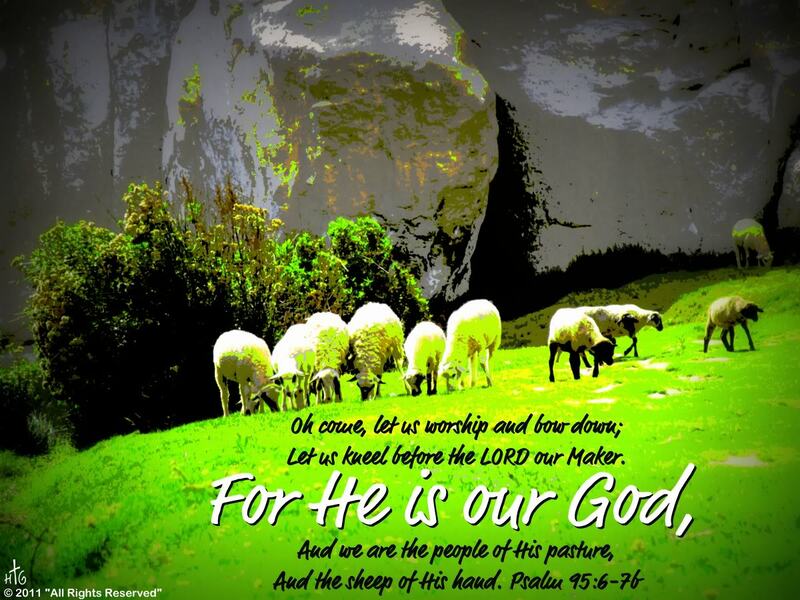 If we love Him we will tend His lambs/feed His sheep. In Christ’s love to all who read. If a person continues to live the same lifestyle as they did before they said a prayer of salvation then that person was not truly saved. Spurgeon said that after 6 months and that person was still living the same then he considered them not saved. Bill, if a person believes in Christ as his Savior (please note that saying a “prayer of salvation” has nothing to do with whether or not one has believed in Jesus as his Savior), then he has eternal life that can never be lost or forfeited. A person’s lifestyle may or may not change after he becomes a believer. We cannot assess whether a person (including ourselves) has eternal life based on his (our) behavior. The only evidence of eternal life is whether someone has believed in Jesus alone for eternal life. What Spurgeon said is not biblical. Spurgeon was a Calvinist/Lordship “salvationist” and a false teacher, who deceived many in his lifetime, and whose heretical writing continues to deceive many people today. If you would like to know more, please read the attached article. Bill, what if it’s six months and one day? What about if the short month (February) is in there? Those kinds of standards are not in the Word regarding whether one is saved. We can know we are saved by whether or not we have believed God’s testimony of His Son. not to be too dis-respectful, But I couldn’t care less what Spurgeon says. I care what the KJV bible says. Heb’s 5 – tells us that a babe in Christ can, over time, still be a babe in Christ. 2 tim 2 – tells us that one CAN have their faith overthrown, they are still saved. ADDED NOTE – I don’t believe anyone here thinks that a prayer saves. Belief (faith) in who Jesus was and what HE did on the cross (the gospel) DOES save. There is no such thing as eternal salvation if it can be lost. And if it can be lost then Christ is incapable of being the permanent covering for our sin… which of course is one the worst heresies. I wrote this back in April, and old post which I added to over time, it just reminded me, it would be a good one to link to your recent article, thanks. Bill sounds like my mom. One of the issues I am struggling with is that she is literally denying people Salvation. And she is getting worse. Kate. I will share encouraging news with you. A good friend of mine told me she resisted this and hated me for seven years because of my sharing of eternal security. She said she read everything I wrote just to prove me wrong. 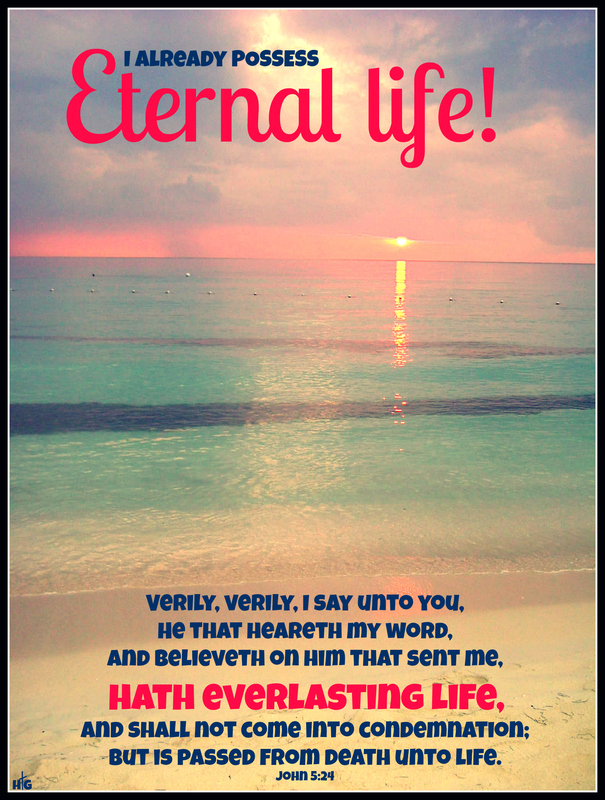 It was nothing of me, but His Word we know has the power and will not return void and because of His Word and her reading it, she now believes eternal life is the gift and is everlasting and cannot be lost. Comment removed by administrator due to previously marking Stuart/Evan for the false doctrine of believers keeping their salvation by their works (Rom 16:17-18). My short reply to you Evan/Stuart/Stu is that you are accursed as per Galatians 1:6-10. You are not one trying to understand something but teaching (for quite some time here and elsewhere) that eternally secure believers who have been sealed by the Holy Spirit until the day of redemption can lose that eternal life (a perfect gift given by the Father). You are teaching that gift is imperfect and that we can perish, directly in opposition to what the Word of God says over and over (Rom 6:23; John 6:47; John 3:14-16; John 10:27-29). We are already passed from death unto life, into the Kingdom of His Son (John 5:24; Col 1:13). If you don’t understand that, you have not understood the gospel – the FREE GIFT is eternal life (Rom 5:18-Rom 6:23). Love this! What a blessing, thank you! Even in adultery, she is bought with a price, and is bound to him as long as she lives.